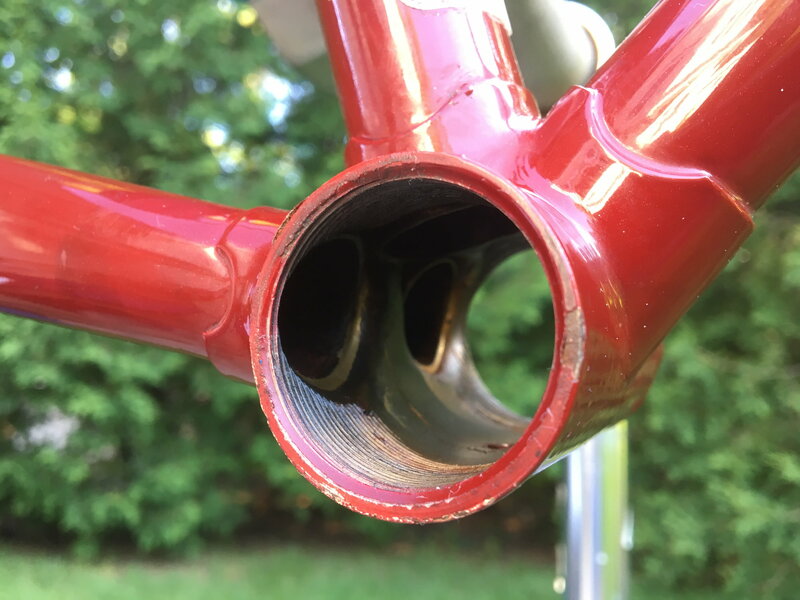 Is a 1982 Trek 600 frame/fork worth $135? I picked up this Trek 600 for the upgraded touring parts that came with it. 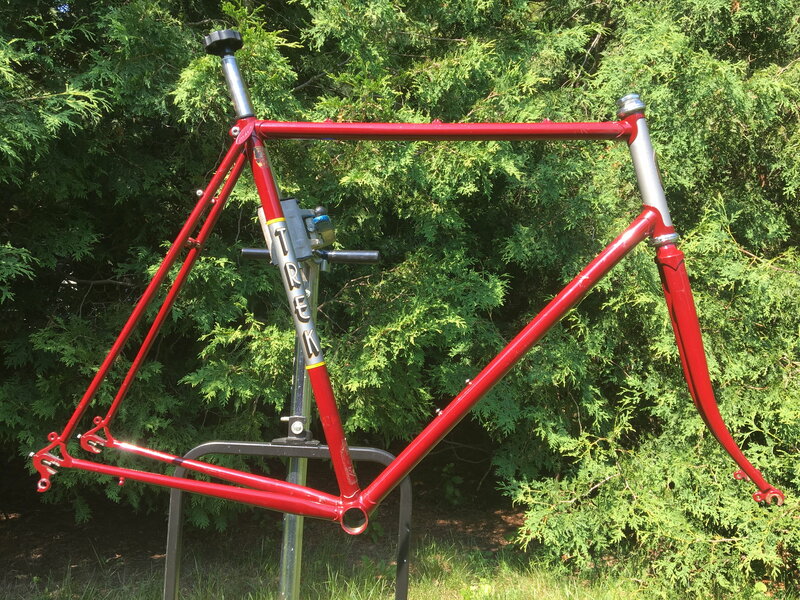 I’ve seen some top of the line vintage Trek frames go for more. 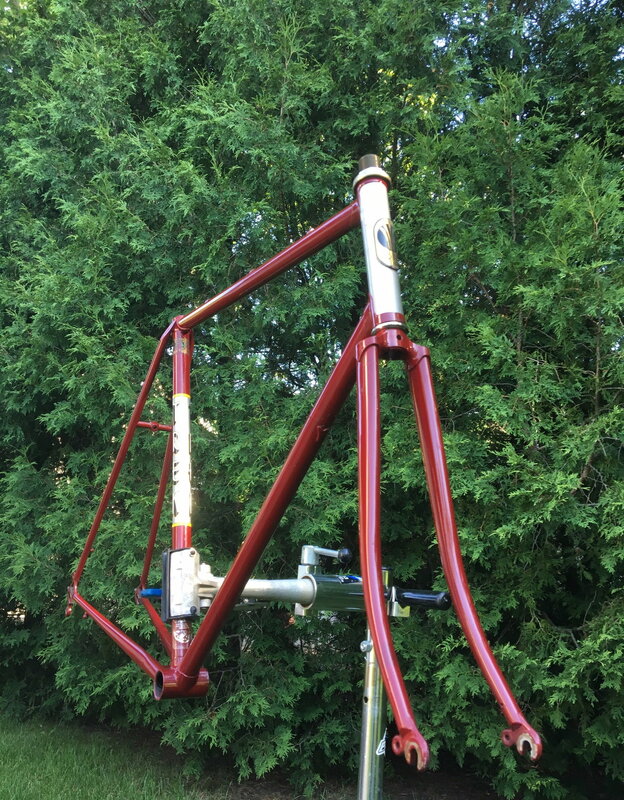 Is $135 a fair price range on this frame set? It’s no bent or dinged up but does have several deep scratches. It’s a 24” frame. It's before they started equipping the 600 series with cantilever brakes, so its more of a sport touring frame than a dedicated tourer. I'd think $135 would be a fair ask. The size will narrow the list of customers though. Strait no dings with nice paint a 600 is worth at least $135 nice all around frame set. Thanks for the quick response.. I didn’t think I was too far off on pricing it at $135, a second opinion can’t hurt. I’ll see if I can move it soon. 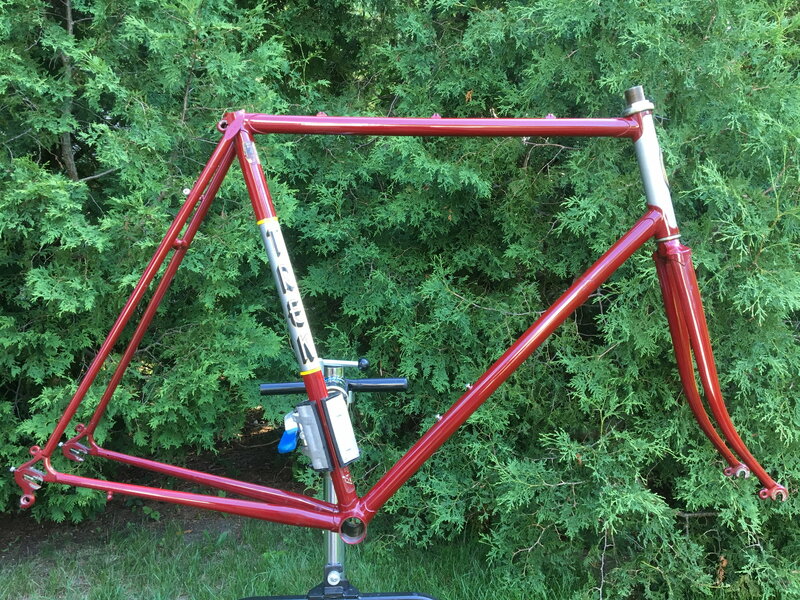 Vintage Trek serial puts it as a 610 model with 44cm long chainstay. I don’t see any difference between the 600 or 610. Was it just components? 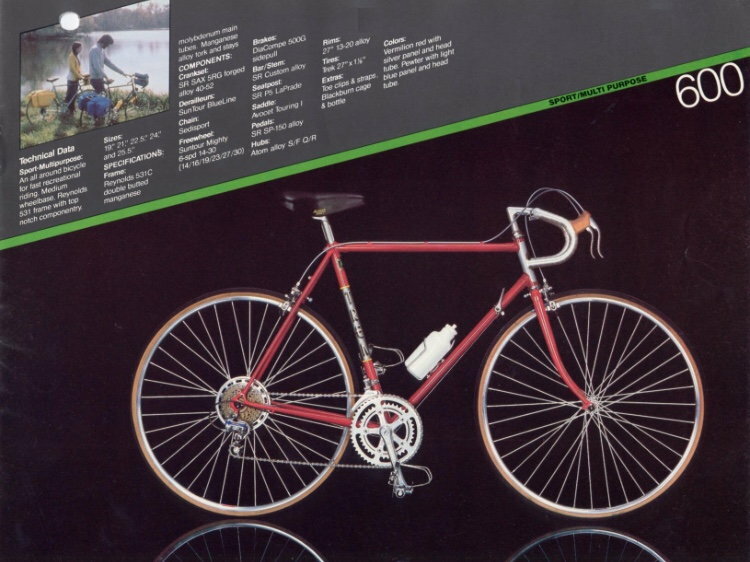 All the 1983 600 series frames had 44cm chainstays including the 620. I knew this Vermilion Red frame was a Sport/Multi Purpose frame when I saw it. It was built up with some components I needed for my Trek 620 Touring build, 700c wheels and bar con shifters. It’s a nice 610 frame set, just don’t have any use for it at the moment. Last edited by Chriscraft760; 07-11-18 at 08:42 PM. I paid $150 for my '82 614 and it wasn't as clean as yours. I haven't regretted it a bit. It's a nice frame. i do believe the mix of components was the only difference between the 600, 613, 614, etc. Those models were differentiated by components. On pricing, depends where you sell it. Here locally, I can't sell frames. That leaves the forum. $135 on the forum is reasonable. I think you can get more than that on ebay, but you have the fees of course. Put the seat post clamp bolt back on it. 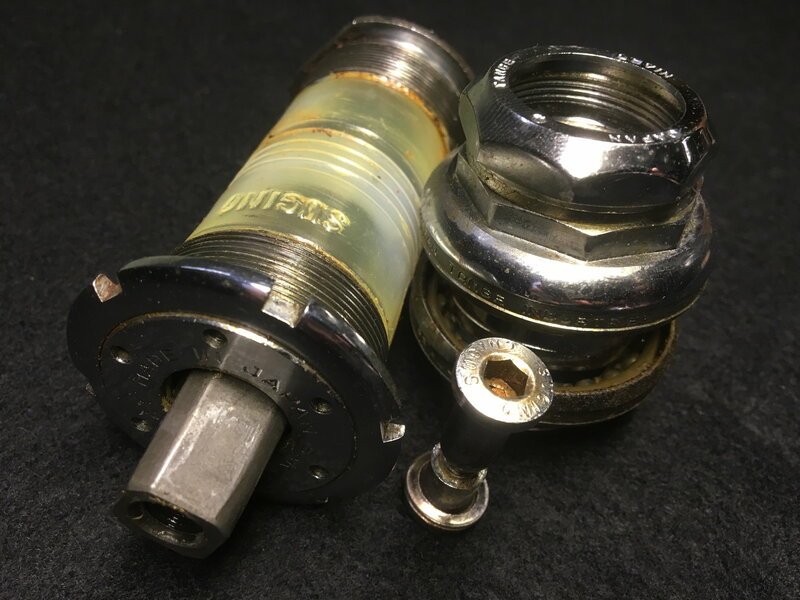 How much more could I get by not just including the seat post clamp bolt but including the BB and headset? I also have no use for the Suntour Blue Line f/r derailleurs and the SR 42/50 crank. Those I’d just toss in. How does one post in for sale section here? Is there a fee I need to pay to have access? nice frame. glad it's too big for me. You need to get a Premium Membership then you can list it in https://www.bikeforums.net/classic-vintage-sales/ section her on the forums. With the components mentioned I think you could get $175 plus reasonable shipping from one of the members here. Including seat post frame clamp bolt and headset with a frame sale are always good. I'd sell BB and crankset elsewhere along with the Suntour BL bits. BL has decent value too if you are patient, and easy to pack. BB is NOT unique to that frame, its matched with the crankset. So its value is with the crankset. If you toss everything in including derailleurs and crankset, $175 +/-. Sold separately the crankset , BB, and derailleur set could bring $100 on fleece bay. Sell the BB with the crankset, sell the derailleur set as a separate group. With some packing practice, the crankset and BB will fit in a USPS flat rate padded envelope, $7.20 anywhere in US including HI and AK! Derailleur set could probably go first class mail, another bargain! Now if frame buyer wants all the stuff, give them a discount, it will all fit in the box with the frame with no additional postage. It takes me 1 1/2 hours to pack a frame, IF I have all the supplies in hand. Half of that time is spent cutting down the box, to save on postage. Last edited by wrk101; 07-12-18 at 10:15 AM. Totally worth $135. I kinda wish I still had mine! I list the f/f on fleebay for $145 ( to cover fees) for pick up only.. Someone wanted it shipped so I made him a deal. Total with shipping, packaging, and headset, Sugino seat post clamp bolt, Sugino BB, SR 170mm cranks 52/40 chain rings, f/r Suntour BL derailleurs, Dia-Comp 500 G series side pull brakes for $230. Fleebay got me on some fees but I just wanted to cover my cost. Bikeflights shipping with $300 insurance was $41. not bad since I purchased the bike for $200 and was able to harvest some goodies from this 610 to finish my wife’s Trek 620 build.